Are wave mast ok for slalom ? of the x6 or x9 ..
will I notice any difference or do they just have a thicker wall for strength ? I've had for wave riding X9, X6 and Combat mast rdm, the legendary Combat Mast is an old NP, made in Italy (at the time). Np combat mast is good for Np sails but in my opinion is different from X9- X6. Ok, yes. Ideal, depends which slalom sail and how critical u are. I thought I'd google it ...came up with this ...a hoop prepreg thickness spirally wound ,who would of thought . should be perfect for a bit of free riding .bump and jump . i really like the pryde mast ,good quality . The 2006 X-combat RDM are probably the best ever mast by NP (orange and white graphic). the 2007 was gold and white graphic are right behind as 2nd best. I've still got s couple of the 2006. It took me 10 years of use the break my first one but nothing would have survived the wave that got me. If the mast fits the cams for slalom sail then it should be fine. Bend curve might vary slightly from the x9 mast but depends on the year sail and how you want to tune it. Thanks Bertie .scored one you described 2007 for $300 .only use no-cam most of the time .and the cheetahs are not fussy on what mast you use . must of been one hell of a wave to break it ..no doubt your sail was cactus too. hell of a feeling seeing a wave take your gear and destroy it hey . I'm a boom buster ..
Yep. Donated to me and it rigs my simmer 2xc perfectly. 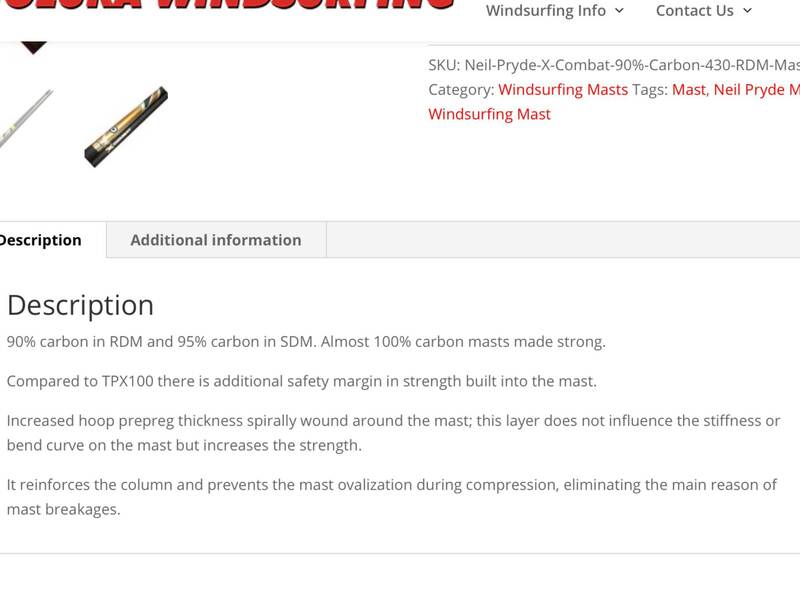 Loft has changed their "ideal" mast requirements to include RDM for smaller sized cam sails for rider' who want a more reactive feel. Not all rider's want the same thing. Great speeds on a foreign mast ...yeah the Ezzy's are great mast ...got 2 myself ..you don't see many secound hand for sale . building up my quiver in WA . Heading north again early next year ..you need a extra mast ,as its a long drive back if ya break one .which I have done ,and had to borrow a mates tree trunk ...had to back the battens off so the cams could rotate .lol. yes I 'm confident I have brought a good mast now ...it is progressive curve ,which I think will work pretty good . 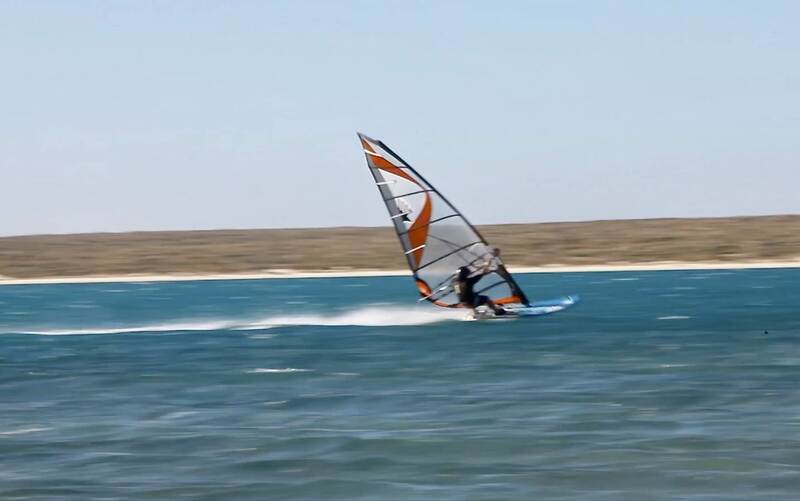 i did borrow a neilpryde a year back and it rigged the cheetah pretty good .It seemed to bellied it up a bit more than my ezzy mast ,which I don't have over there and exhausted really easy ,yeah seemed softer ,but didn't kill it . It actually felt nicer to use than my ezzy mast ..being slightly softer. lets hope swindy doesn't kill your mast ,you might need it back one day. north WA.Had some good runs at little lagoon . Tushingham and Pryde masts have the same bend curves more or less. So does hot sails maui. -If the sail is a cammed sail, and RDM cams are available for it. - They usually have a sightly 'softer' more 'flexy' feel in the same sail than an SDM, even though they test to the same IMCS # - Something I like as a lightweight. 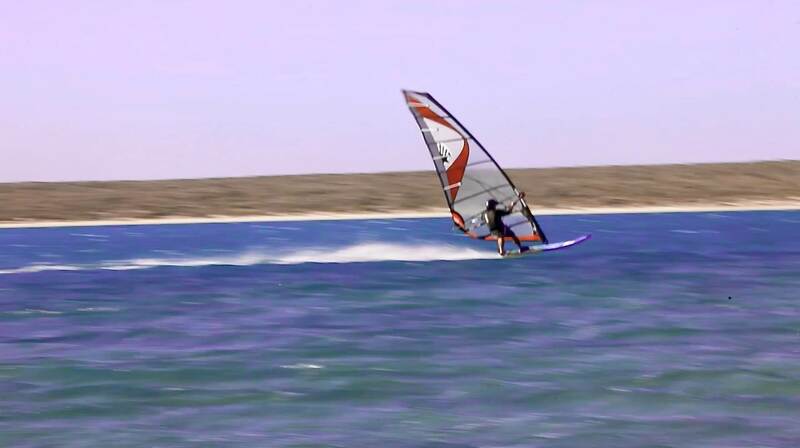 - They are really hard to break compared with SDM's - especially in normal slalom type sailing. For anyone speed sailing, or sailing in offshore winds or open ocean, this is a huge safety factor. Generally, in slalom sails from 7m and larger, I prefer the way SDM's work and set the sails I use. See you in WA soon. The X-Combat was the best wave mast NP ever made. Stopped making it due to durability, I guess. I think its safe in the hands of a average free rider like myself .